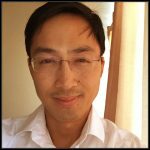 Meet GovLoop’s New Round of Featured Contributors! 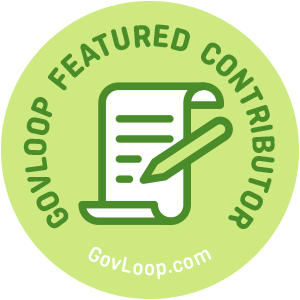 Last month, we put out a call for our 18th round of GovLoop Featured Contributors – and you responded with amazing enthusiasm. Dozens of people from all walks of government and industry life sent in great ideas for posts about everything from staying relevant as a baby boomer to how cities can become better connected. It was a tough process, but we were able to whittle down the applications to the following writers. Read on to meet the new GovLoop Featured Contributors, who will be posting once a week for the next two months. We’re excited to introduce you to them – and even more excited to read what they’ll be writing about. Our Featured Contributors will start their posts today– so get ready! Want to be a featured contributors but didn’t make it this time or didn’t apply by the deadline? Don’t worry—we’ll be hosting this challenge every few months. Make sure to check back December 2018. Ana Camerano holds a degree in International Relations from the Federal University of Santa Catarina, Brazil. She has experience of volunteering and internships in Latin America and believes that we have much to learn from the development regions. Ana is the Communication and Customer Success Coordinator at WeGov, and found in the organization a way to positively impact society and transform the public sector. Her interests are the connection between communication and government innovation, and how can the public sector work towards a more citizen-centered approach. Anthony Veltri helps federal government scientists and subject matter experts to appear on video in a way that reflects well on them and their organization, while simultaneously conveying the importance and impact of their program or research. Anthony has worked as a branch chief and lead physical scientist for multiple organizations within the federal government including the US Army, the US Department of Homeland Security and the US Department of Agriculture and has published a book on his experience as an emergency response professional following Hurricane Katrina. He completed his undergraduate and graduate education at the University of Rhode Island. Amy Cloud is a media relations and PR professional with nearly 15 years’ experience supporting leaders in healthcare, higher education and municipal government. She is a FEMA-trained crisis communicator and Public Information Officer (PIO). Over the course of her communications career she has been a national award-winning magazine writer and editor, TV news reporter and EMMY-nominated producer. 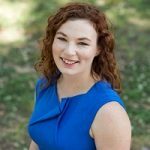 With a master’s degree in Adult Education, Amy has prepared trainings on topics ranging from effective interviews to creating ambassadors on the front lines of public service. Her favorite experience as a professional was interviewing her childhood favorite, Mister Rogers. Dan Kent is the Chief Technology Officer for Cisco Systems Public Sector organization. His group assists government transformation by delivering technologies, services and offerings into public sector vertical markets including DoD, education, government and healthcare. Currently, his team is focusing on integrating technologies like cloud computing, IOT, software defined networking, cybersecurity and collaboration. An expert technologist, he speaks at many conferences and events on future technologies, enterprise architecture and technology leadership. David Rehr is a CEO with over 25 years experience in advocacy, public policy, and governance. He currently serves as Professor of Public Policy at the Schar School of Policy and Government at George Mason University and will soon be the Director of the Center for Business Civic Engagement. He is a former Senior Associate Dean at the Antonin Scalia Law School at George Mason University where he taught Legislative Advocacy, Law & Leadership, and Strategic Washington Leadership. Timothy D. Etson currently works as an Emergency Management Program Specialist for Region IV of the Federal Emergency Management Agency (FEMA) in Atlanta, Georgia. He joined the Agency in 2008. His duties include working in the Public Assistance Branch of the Recovery Division and at Joint Field Offices. In this role, he supported numerous disasters, with his most recent deployment being to North Carolina for Hurricane Florence. His role during recovery includes leading a team of over 100 personnel. Tim graduated with a bachelor’s degree in economics, a master’s degree in public administration and a doctoral degree in political science. Award-winning author and playwright, book publisher, songwriter, poet, coach & founder of Pen Legacy, Charron Hopson-Swift dba Charron Monaye has authored seven books, co-authored four, published over 25 new authors, and written/produced two theatrical productions. She is a lifestyle blogger for MadisonJaye.com and Management Analyst for VA Pulse within the Office of Modernization. She was the content contributor for CNN IReport and The Philadelphia Association of Paralegals. Charron has secured her BA in Political Science, Masters in Public Administration, Certificate in Paralegal Studies & Life Coaching and Doctorate of Philosophy (Humane Letters) for her commitment to literature and the arts. Shawn Riley became North Dakota’s Chief Information Officer in April 2017 after serving in IT leadership roles in healthcare and private industry for two decades. Throughout his career he has overseen significant change management efforts and demonstrated the ability to transform processes and make a positive impact for customers and business partners through innovative technology approaches. Shawn’s experience includes consulting at IBM and other Fortune 500 companies, and from 2004 to 2017 he served in various leadership positions at Mayo Clinic. In his role as CIO, Shawn’s emphasis is on working as one across Team ND to Empower People, Improve Lives and Inspire Success. Jason Yakencheck is a cybersecurity subject matter expert. Throughout his career to date, Jason led many successful consulting engagements for the Federal government to increase security posture or grow cybersecurity capabilities. Jason currently serves as the President of ISACA’s Greater Washington, D.C. Chapter and has been active in ISACA since 2006. 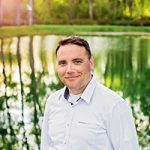 Jason is passionate about Cybersecurity awareness, effective program management, and supporting academia or recent college graduates through career growth initiatives. In his spare time, Jason enjoys traveling, hiking, skiing, cooking, and public speaking. Jason holds the following certifications: CISSP-ISSAP, CISA, CISM, and PMP. 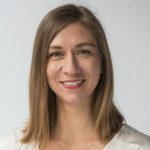 Jennifer McNeill is a strategic manager for Adobe’s public sector team where she works closely with clients and partners to provide digital transformation and citizen engagement solutions. Ms. McNeill has built a solid reputation as a business expert through her speaking engagements for audiences globally. She speaks to information technology audiences, technology tradeshows, provides insight to numerous industry publications, and has been regularly featured in the Globe and Mail. She also lectures regularly at the University of Calgary’s Executive MBA Program. She has regularly presented to senior levels of government where she presented recommendations for successful IT strategies for government. Kevin Richman is an innovation specialist with the Observatory for Public Sector Innovation (OPSI) at the OECD. Kevin supports governments around the world that are working to provide greater value for citizens by helping uncover what is next, providing trusted advice to foster innovation, and turning the new into the normal. Kevin’s primary focus is assisting governments to create sustainable innovation through improved innovation capacity and capabilities. 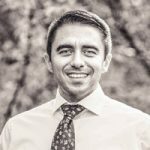 Kevin works directly with leaders on organizational capabilities and sustainable innovation and with civil servants on building innovation skills. Khiet Luong has worked as a project manager in the third sector and as an elected official for a small municipality. Currently, he manages volunteer resources for a national park and thinks that the work of volunteer administration is probably America’s 3rd or 4th best idea. Ever. He believes that leaders should want and do what is good for others. He likes to discover people doing acts of kindness each day—and thank them for choosing to do what is right because we are not robots and if we can’t say “No,” than our “Yes” has no meaning. Martin Lind is Director of Business Development at Granicus, overseeing the development partnerships that expand the ecosystem of offerings Granicus provides. He is a thought leader on content strategy and web accessibility, frequently speaking at conferences on the subjects, and is a member of the Center for Plain Language and the International Association of Accessibility Professionals. Lind holds a Master of Public Administration from University of Southern California and a BA in political science from the University of Pennsylvania. 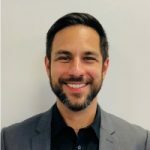 In his role as public affairs specialist, Paul Negron manages communications for the DC State Board of Education, coordinating writing, editing, media relation press releases, talking points, school visits, and social-media strategy for the nine-member elected education body. Paul previously worked as a career education manager for two local non-profit organizations, providing workforce development and job training to low-income, underserved DC area residents. Paul graduated from Washington and Lee University in Virginia with a bachelor of arts in communications. He is currently pursuing a master of professional studies in public relations and corporate communications at Georgetown University. Born and raised in Long Island, N.Y., Paul has resided in Washington, D.C. since 2013. An avid soccer player, singer, and tennis enthusiast, he currently lives in Ward 1’s Park View neighborhood. Amelia Shister has almost a decade of experience in foreign affairs and international trade. Amelia came to the USITC from the Global Cities Initiative at the Brookings Institution. In past lives, Amelia worked on political campaigns in fundraising and field organizing. She received her B.A. in International and Hispanic from Trinity College (CT), her M.Sc. in Political Science from Trinity College Dublin, and her M.A. in International Trade and Investment Policy from GWU’s Elliott School where she was an eBay Policy Fellow. On weekends, Amelia likes to run, play soccer, and explore the great bars and restaurants in her neighborhood. 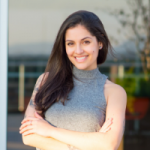 Grisel Velazquez is currently serving as a Contract Specialist at Naval Surface Warfare Center Philadelphia Division since February 2018. In the Contract Department, she is responsible for providing the highest quality acquisition products and services on a timely basis while simultaneously satisfying public policy objectives. Grisel obtained a Juris Doctor from Eugenio Maria de Hostos School of Law in June 2009. Grisel was admitted to practice law before the US District Court for the District of Puerto Rico in July 2010. Prior to becoming a lawyer, Grisel obtained a Bachelor of Science degree in Industrial Engineering on December 2005. As the Public Information Officer for Montana Department of Justice, Motor Vehicle Division (MVD), Levi Wort is disrupting digital reputation management in government using automated conversation systems. Levi built and manages MVD’s award-winning, public bot system as a lone employee working on the project. He also pioneered the first “conversational” website in government, integrating web elements with a chatbot in an immersive experience that drives citizen interaction. A graduate of Montana State University’s College of Letters and Science, Levi received his bachelor’s degree in English writing with highest honors. Levi is also a Marine Corps veteran, serving from 2005 to 2010.